Brilliant use of a housekeeping tip envelope. They are a necessary evil. And yet…it IS kind of weird that so many US hotels leave an envelope in your room, encouraging you (obligating you?) 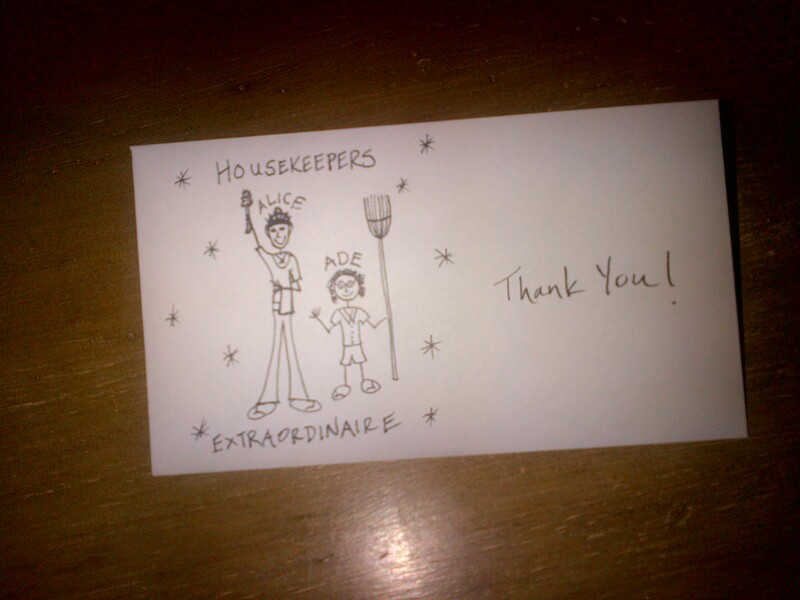 to tip your housekeeper. I understand the need for it, as it’s easy to forget – or ignore – tipping someone you likely never see (and gratuities are often part of a housekeeper’s overall compensation). But it seems so tacky. No one likes it when a bellman or doorman stands there with his hand out, and the “begging envelope” is equally ungracious. That’s why I laughed aloud with pleasure when I saw the housekeeping gratuity envelopes in the rooms at The Inn at Manchester in Manchester Village, VT.
What’s the lesson here? With a little bit of love and thought, you can find ways to make ordinary guest touch points create a lasting, positive impression. And you can’t “fake” making something personal…if you put love into it, that’s what will shine through. Case in point: I saw this envelope when I was visiting the property with another Redpoint staffer just for a site tour. And even though I wasn’t staying in the room, I wanted to give a tip to Alice and Ade…just for being adorable.